Mehta also made an announcement that the new retail model would be around the "Originate and sell" model. 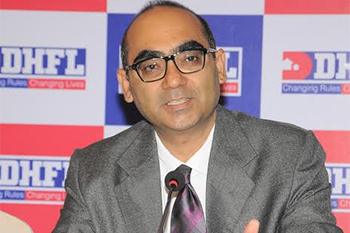 "My resignation is in-line with an announcement of getting a strategic partner into the co. Have come out to provide confidence to investors about the retail portfolio of co," said Harshil Mehta of DHFL on his personal social media account. As per media reports, Mehta also made an announcement that the new retail model would be around "Originate and sell" model and that needed a sharp focus to build the retail business around that model. Shares of DHFL had tanked ~6% earlier in the day after the company’s whole-time director Harshil Mehta resigned. Mehta resigned due to full-time engagement with other assignments within the company. "However, he would continue to be associated with the Company and shall hold the designation of Executive President - Retail Business with effect from February 14, 2019," the company said in a press note after market hours to the exchanges on Wednesday. Besides, the Nomination and Remuneration Committee of the Board of Directors of the Company has recommended to the Board the appointment of Sunjoy Joshi as an independent director and Srinath Sridharan as a Non-Executive Director of the company subject to receipt of requisite approvals from the regulatory authorities. Dewan Housing Finance Corporation Ltd's share price is currently at Rs128.60, up by Rs18.05 or 16.33%, from its previous closing of Rs110.55 on the BSE. The scrip opened at Rs105 and has touched a high and low of Rs131.15 and Rs104, respectively. So far, 5,70,06,990 (NSE+BSE) shares have been traded on the counter. The current market cap of the company is Rs3,469.31cr.